When you choose Eastern Buildings, you are choosing to work with the industry's best crew that has built a reputation for building one-of-a-kind garages, agricultural barns, horse barns, and more. We are a class A custom builder, and we have taken over 40 years of experience and applied the knowledge, specialization, and skill into our custom buildings. Saving you money while providing garage storage for your valuables is what we specialize in! We believe in having your dream storage or play space just a few steps from the house is a great investment; whether you desire a large or small storage unit for residential or commercial use, we specialize in providing affordable garage construction services. With years of experience, our crew can help you with your next project from start to finish. From the initial prints to the site construction, we guarantee to offer a solution for your next garage project. Our buildings come in a wide variety of colors and styles! Experiment with our color visualizer to find your perfect combination. 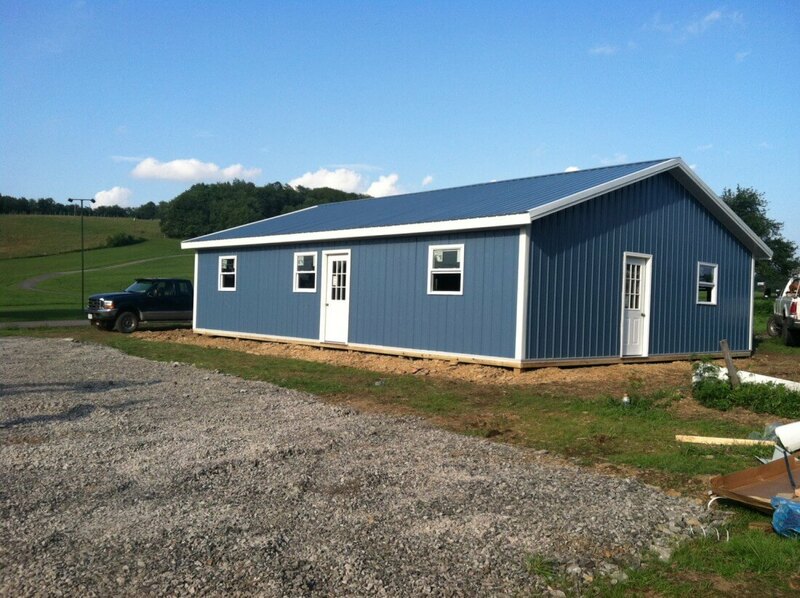 As one of the leading custom agricultural barn builders in Morgantown and surrounding areas, we offer building solutions for all of your commercial and agricultural needs. Our team of industry experts have the experience that has given them a seasoned understanding of what farm producers value in their barns. From the start, we’ve led the industry in offering innovative building components and features for agricultural barns. Big or small, we guarantee we can easily provide an economical solution to your agricultural building needs. Whether you are considering a small project for your private facility or a large custom build, our builders will meet your functional needs and desired aesthetics. Horse barns are a passion of ours, and the options are endless when it comes to the custom features Eastern Buildings offers. If you’re looking for professional horse barn builders with years of experience behind them, you’ve come to the right place! 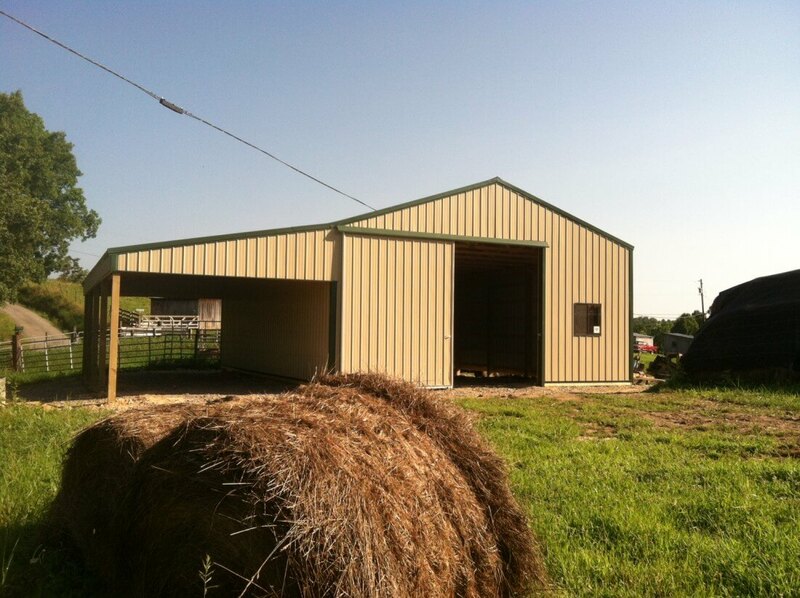 Finding the perfect design for your pole barn is something we take seriously, and we truly believe it is a very cost effective way to build that costs less than steel frame or stud frame designs, and don’t forget, the time it takes to erect a pole barn is drastically less than the standard framing or steel frame! Anything built by Eastern Building is special, and we pay close attention to every detail of our projects. We make sure to use the highest quality materials on the market for your building, and you can expect only the best when it comes from us. With 16 different color options that can be combined in a variety of different ways, the possibilities are endless! To learn more about what colors are available, or to experiment with choosing your perfect color combination, try out our color visualizer tool today. 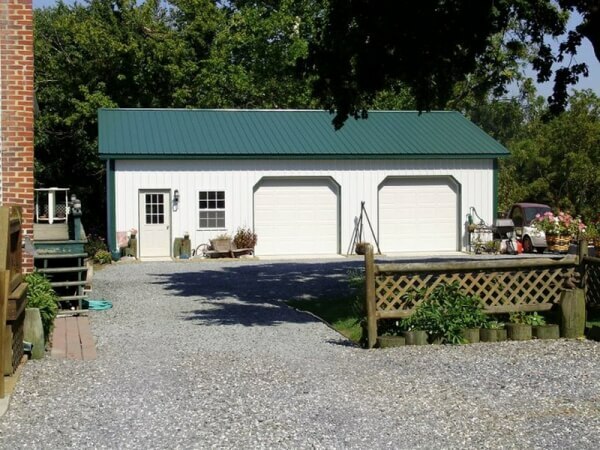 If you’re in the Morgantown, Charleston, Parkersburg, Fairmont, Wheeling, or surrounding areas and are looking for reliable custom pole building or agricultural barn services, look no further than Eastern Buildings, LLC. Contact us today!